Our compressor re-manufacturing department has service exchange units available for the commercial industry ranging from 2 – 60 horsepower in the semi hermetic range. The larger screw – reciprocating and centrifugal compressors are overhauled in house on demand – a large number of spares are kept ex-stock for the large machines. We have the necessary skills and equipment to remove compressors from your site – overhaul the compressor – reinstall – coupling alignment and re-commissioning. 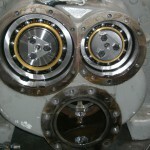 Remove, repair and installation of screw compressors. 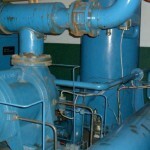 Remove, service and install refrigeration compressors.